The Finishing Touch: Happy 2017! Happy 2017 – We hope your new year is off to a fantastic start! We have a number of exciting projects coming in January to get the stitching juices flowing. Snowscapes and Snow Squalls, a three-part series by Cecilia Turner, offers a picturesque village of brightly colored cottages topped with darling snow people. An additional small Snow Squall design will be included with each of the Snowscapes shipments. 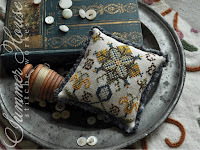 Stitched on Dwarf Cashel linen, each chart pack will include chart and embellishments. 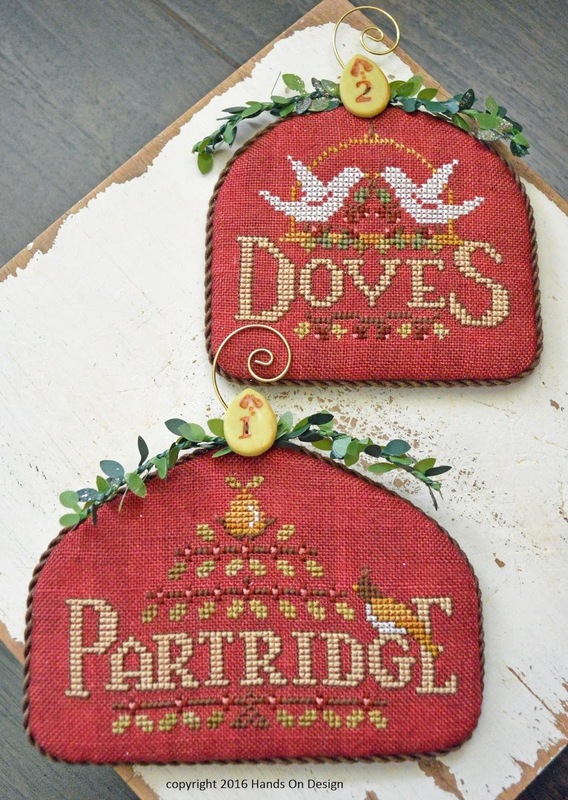 Hands On Design has a beautiful series of Christmas ornaments stitched on Weeks Aztec Red linen. The 12 Days series will begin with 2 ornaments released in January and two at a time until you have all 12. Imagine - you could have 12 beautifully stitched and embellished ornaments for your 2017 holiday pleasure. 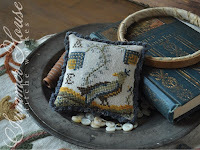 Summer House Stitche Works has announced the newest Fragments in Time series for 2017. 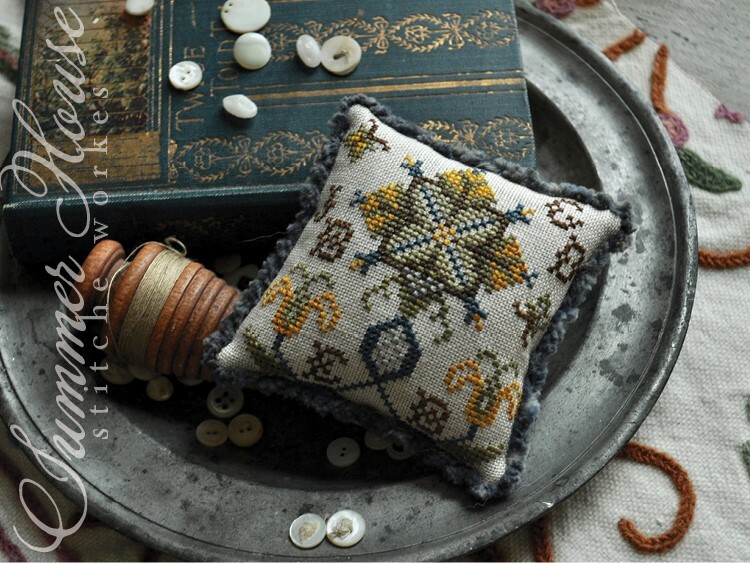 Inspired by Elizabethan Crewelwork, these eight smalls are filled with fantastic flora and fauna and the color palette is right on trend. The first two designs will come this month, followed by 3 more shipments of two. By mid-summer you will have a complete set. We have a sign-up list for each series. Please let us know if you would like to join us! 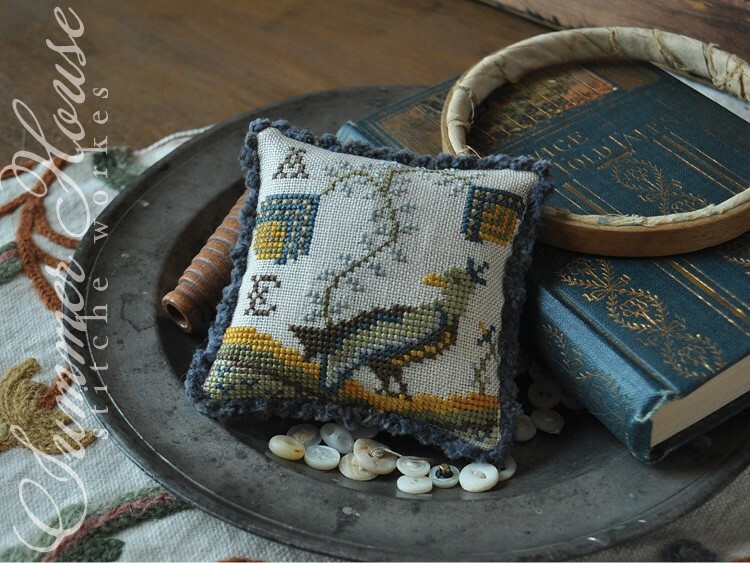 Also coming soon: new Needle Nannies featuring designs from Little House, Blackbird Designs and Lizzie Kate. Great gifts or super for your own needles. How about a new collection! SUPER BOWL SATURDAY – Be ready to stitch on Super Bowl Sunday when the football hits the field. Join us on Saturday, February 4, at 10:00 a.m. to find plenty of fun things to stitch and take 20% off your tab. See you then! Here are a couple more new January releases to share. 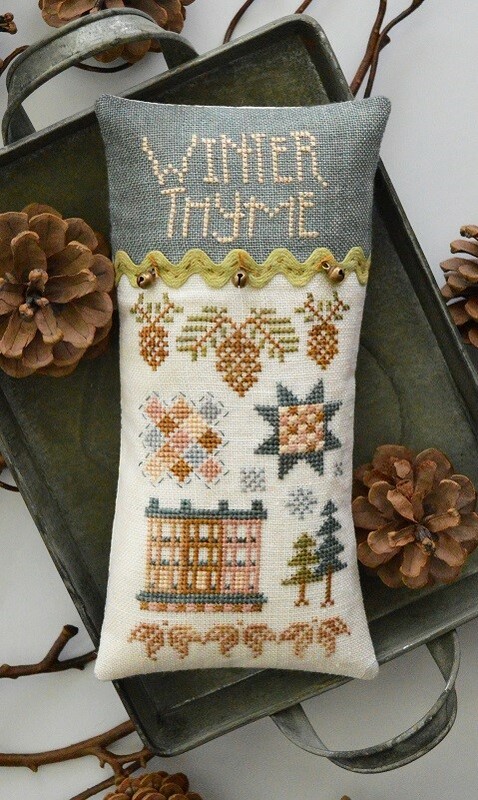 Winter Thyme by Hands On Design and Keep A Gentle Heart from Threadwork Primitives. Happy Stitching!